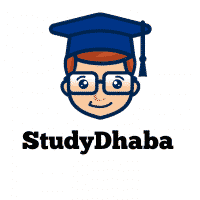 Different Investment Models Pdf Download -IAS Prelims,Mains – Hello Friends Welcome To StudyDhaba.com. Here We Are Sharing Different Investment Models For Indian Economy Section . Under capitalism, all farms, factories and other means of production are the property of private individuals and firms. They are free to use them with a view to making profit, or not to use them, if it so suits them. The desire for profit is the sole consideration with the property owners in the use of their property. Besides free and unfettered use of their property, everybody is free to take up any line of production he likes and is free to enter into any contract with other fellow citizens for his profit. What to produce, how to produce and for whom to produce – all these central problems of economics are settled by the free working of the forces of demand and supply. In the words of Prof. Loucks, “capitalism is a system of economic organization featured by the private ownership and the use for private profit of man-made and nature- made capital”. Socialism is an economic organization of society in which the material means of production are owned by the whole community and operated by organs representative of, and responsible to, the community according to a general plan, all members of the community being entitled to benefits from the results of such socialized planned production on the basis of equal rights. In simple words, socialism implies social ownership of means of production, equality of incomes and opportunity for all. It does not mean that all productive resources should be owned by the State; only the major instruments of production should be under the state control so that economy is run for social benefit rather than private profit. A Mixed Economy is neither pure capitalism nor pure socialism but a mixture of the two. It is operated by both private and public enterprise. That is, private enterprise is not permitted to function freely and uncontrolled through price mechanism. On the other hand, the government intervenes to control and regulate private enterprise in several ways. It had been realized that a free functioning of private enterprise results in several types of evils. growth without any active government help and guidance. Hence the government in such countries actively participates in economic activities in order to minimize the evils of unadulterated capitalism and to accelerate economic growth. In the Indian economy, both the public and private sector are in operation, though the share of public sector has been progressively declining since 1991, when India began the economic reforms. The foundations of the mixed economy in India were laid by the Industrial Policy Resolution of 1948 which was modified by the Industrial Policy Resolution of 1956. According to these resolutions, the various industries were divided between the two sectors, viz. the private sector and the public sector. The responsibility for the development of several basic, heavy and strategic industries was assigned to the State and the development of the rest of the industries was left to the private sector. Even the private sector was sought to be controlled and influenced by the Government of India by means of direct controls or through appropriate fiscal and monetary policies. Though Economic Development has been defined differently from Economic Growth and Economic Progress by some, however, for our purposes here we can consider these terms as denoting the same. Thus we can base our definition of economic development on per capita income. Accordingly we can say that it denotes an increase in per capita income of the country at constant prices. A higher per capita would mean that people are better off and enjoy a higher standard of living and to raise the level of living of the people is the main objective of economic development. Nut the increase in national income must be maintained for a long time. A temporary or short-lived increase will not connote real economic growth. This improvement in income helps and in turn is facilitated by larger savings, increased capital formation and technological development. Harrod and Domar analyzed the dynamic nature of investment and demand and showed how variations in capital and in demand were responsible for instability in economic growth. Harrod-Domar model was formulated primarily to protect the developed countries from chronic unemployment and they were not meant to provide guidelines to the developing economies in their economic development. Since they were formulated primarily for the developed countries they were based on high propensity to save and a correct estimate of the capital-output ratio, which should remain fixed over time. high in these countries. Thus the two important bases of the Harrod-Domar model are non existent in the case of developing economies. Further, the nature of unemployment problem in developing countries is different from that in the developed countries. It is cyclical unemployment due to deficiency of demand in the developed economies and disguised in developing economies. In developed economies, unemployment can be removed by raising the level of investment so that aggregate demand increases which was not keeping pace with the growth of productive capacity. In the developing economies, there is unemployment because available productive capacity is inadequate to emply fully the existing labour force. Thus in such countries, the purpose of investment is to raise productive capacity rather than aggregate demand and fully utilize the existing idle capacity. Thus the peculiar conditions prevailing in the developing countries e.g. disguised unemployment, low propensity to save and low productive capacity makes the Harrod-Domar model inapplicable to them. Also, this model assumes no government intervention, fixed prices and no institutional changes. All these assumptions too make it inappropriate. However, we should not reject this model wholesale and emphasize their inapplicability to developing economies. With slight modifications and reinterpretation they can be made to furnish suitable guidelines even for the developing economies. In some cases, it is only a question of changing the emphasis. For instance, Domar’s model recognizes the capacity creating role of investment. But it is intended to increase effective demand in developed countries, while in developing countries, the capacity creating role of investment is to be seen as a means of overcoming the problem of unemployment. Hence, to make the model applicable to the developing countries, it has to be suitably reinterpreted. Lewis presented a theory of economic development with the use of unlimited supply of labour. The supply of labour in under developed countries is generally such that an unlimited supply is available at the subsistence wage. This unlimited supply of labour is drawn from surplus agricultural labour, casual labour, domestic servants, women in households etc. In his model, Lewis analyses the process of economic development in terms of inter-sectoral relationships in a dual economy composed of a ‘Capitalist’ (manufacturing, mining etc.) Sector and a ‘Subsistence Sector’ or the Self- Employment sector. In an overpopulated country the capitalist sector draws labour from the subsistence sector of which there is an almost unlimited supply. The wage in the capitalist sector depends on what labour gets/earns in the subsistence sector and is a bit higher so as to attract labour. Hence at this wage, the capitalist sector can have as much labour as it requires. Subsistence wage, in turn, is governed by the conventional view of the minimum required for subsistence or by the average product per worker in subsistence agriculture.